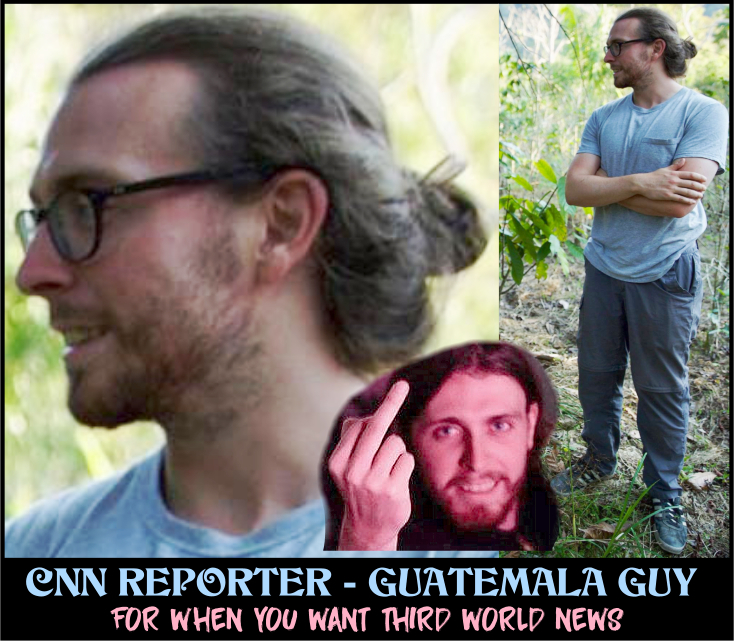 As a hipster, CNN reporter Jack Guy, based in Guatemala, has the obligatory man bun, ear stud, and scruffy beard. His clothes are indistinguishable from those worn by San Franciscan footpath gremlins, and his Facebook photo features him flipping the bird. He earned a B.A. in French and History from Leeds University, West Yorkshire, England and has been living in Antigua, Guatemala ever since, learning Spanish. Does that sound like someone qualified to write about President Trump for Americans? Is he a genius whose young, scruffy appearance belies a prodigal understanding of politics? Perhaps, but how many quetzals does a Guatemalan barber charge for a haircut? In that stifling heat and humidity, who would want a man bun? These are profound questions, but a more profound query is; who at CNN hired him? Bookies would bet it was a gay woman under twenty-five, with a B.A. in Global Warmery. Probably, but who hired her? 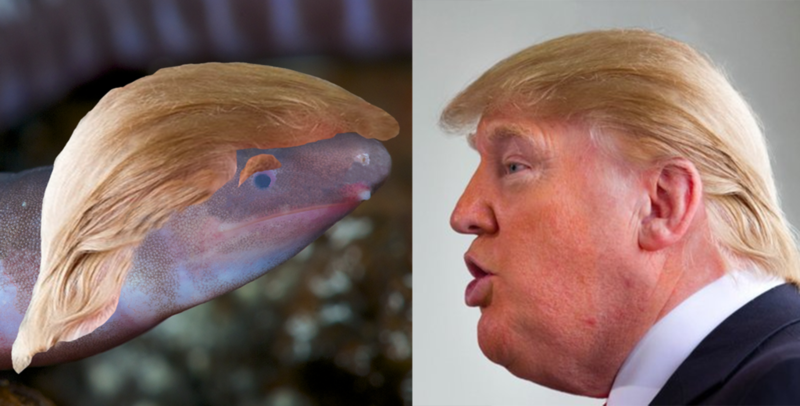 After winning an auction to name a newly discovered blind amphibian, a British company chose Donald Trump as the creature’s namesake, likening its behavior to the US President’s stance on climate change. 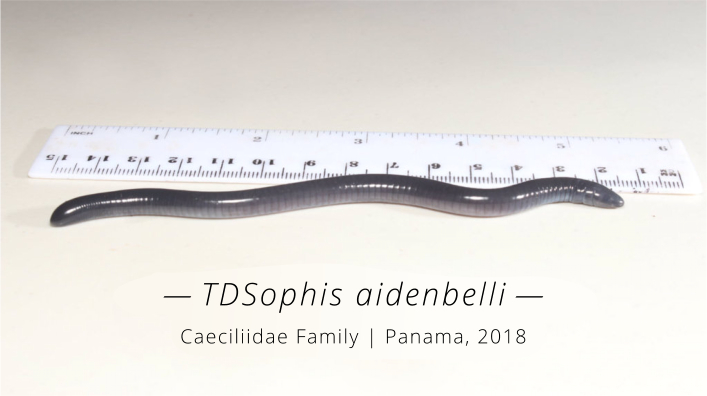 Dermophis donaldtrumpi was discovered in Panama and has a propensity for burrowing its head in the ground, said Aidan Bell, co-founder of sustainable building materials company EnviroBuild. I see anthropomorphic climate change as a genuine threat to people’s way of life. The problem is so large as to feel insurmountable, so try and align my working life with the aim of mitigating our impact. Our young chemist Aidan Bell is such an expert on man-made global warming that he used the wrong adjective to describe it. Anthropomorphic means ‘ascribing human form or attributes to a being or thing not human, especially to a deity,’ while anthropogenic means ‘caused or produced by humans.’ Many armchair environmentalists have mixed up these words. Experts do not confuse them. The term is Anthropogenic Global Warming, which means “man-made Global Warming.” Saying anthropomorphic instead of anthropogenic is like saying, “I want to be an astronaut because I love astrology.” Only a very inexperienced science enthusiast would mistake astronomy, the science of space, galaxies and the universe, with astrology, an irrational belief in imaginary constellations, used by fortune-tellers to peddle bunk. Aiden lives in London and plays cricket. Perhaps he should stick with chemistry and forget about climate or biology. Looking at his Facebook ‘check-ins’ page we see he was in Guatemala – where the CNN reporter Jack Guy lives. On his likes page, he has three links promoting the socialist Labour Party. Other links reveal a skull packed tightly with Leftist Lunacy. 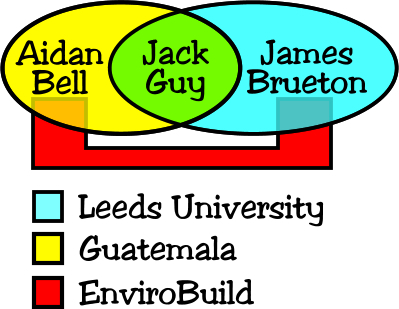 Out of the three young Englishmen, two went to the University of Leeds, and two were in Guatemala. 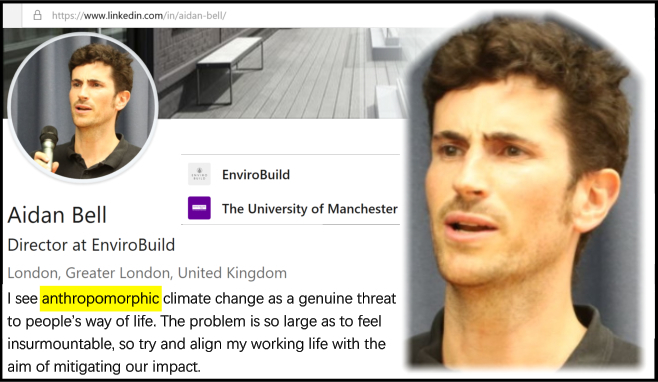 Two started ‘envirobuild’ which sells plastic wood, and the other, Jack Guy, promoted them with his CNN article. 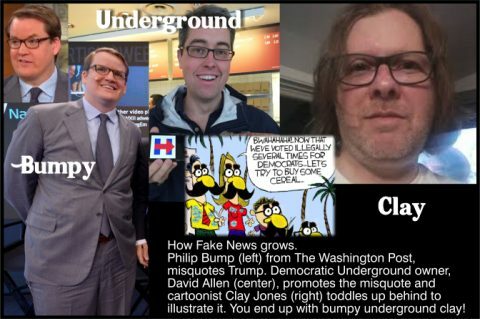 If Aiden Bell was foolish enough to pay “Rainforest Trust” $25,000 to name a forgettable amphibian, how easy would it have been for Jack Guy to squeeze $25,000 out of him to promote his company through CNN? Is it not likely Aiden Bell would pay up without much persuasion? I am just asking questions, not accusing. 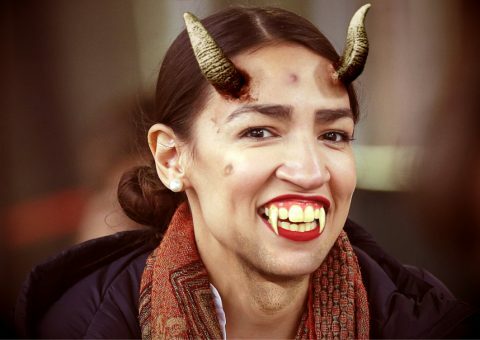 Here is the new species. Note – in 2016, scientists discovered 18,000 new species (about 50 a day), and there are many millions still undiscovered, so finding a dreary blind amphibian is no big deal, especially in a rain forest which is crawling with undiscovered worms, frogs, slugs, snakes, bugs and birds. 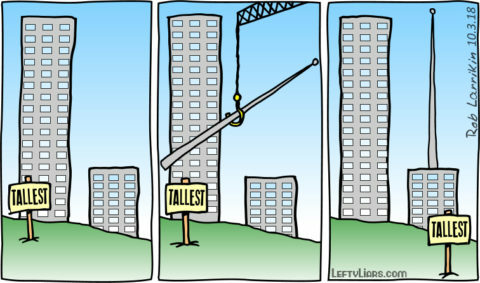 I think they should name it after Aidan Bell. False. This image was originally posted to Facebook on 14 July 2017 by Vic Berger, a viral video creator with a penchant for poking fun at Trump… This image… is fake. 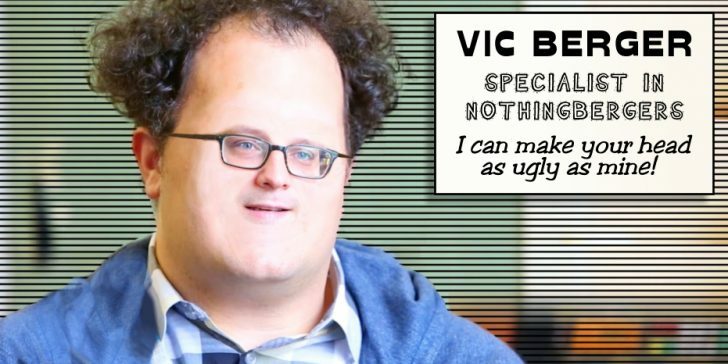 Berger created it using a photograph that Getty Images photographer Matthew Cavanaugh took on 27 April 2011 in Portsmouth, New Hampshire. Berger flipped the original photograph, enlarged Trump’s throat, and colored his skin a darker shade of peach. Most digital caricaturists make it clear they have changed the target’s photo as a joke. 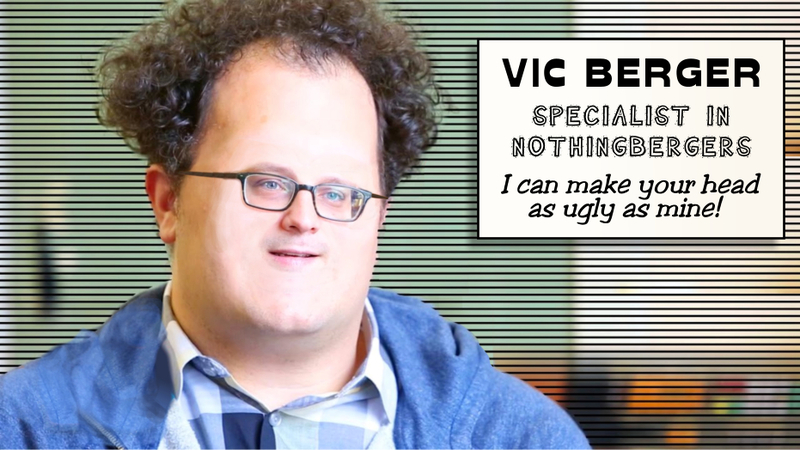 For instance, in the picture above I took Vic Berger’s head and made it even uglier, but it is clearly a joke. By contrast, Berger wants people to think his work is the real Trump, so his pictures are meant to deceive, which makes him a liar. There is a difference between artists and deceptive trolls, and this is an example. Americans go online to read a CNN article about an English company that has named a new amphibian species after Trump, and they imagine the journalist is an American with years of experience in politics, writing about some significant company. 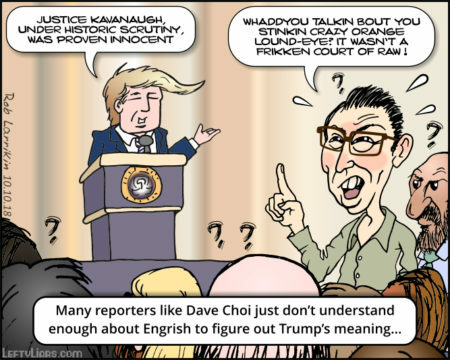 In reality, they are reading the words of a young English hipster in Guatemala, whose college buddies have named an amphibian after Donald Trump and published a fake photo to denigrate the American President. Like Vic Berger, Aidan Bell hopes readers will believe Trump’s picture is real, which is deception, and Jack Guy is promoting the whole thing using CNN. The name in question has to be peer-reviewed before it is official, but if accepted it is one more example of the politicization of science. These days you cannot expect scientists to be honest about the weather or anything else. Climate is ever-changing, and mankind has nothing to do with that. If Jack Guy, Aidan Bell, James Brueton, or Vic Berger bothered to read what real scientists, as opposed to politicized and government-grant scientists, wrote about climate change, they would soon realize they support a cult and are condemned to be mocked by their descendants for the fools they are.